Betcha can't buy just one! Hello Earl, do you still have the pearlie for sale? My name is Cheryl Grana, and I just joined the SVX network. 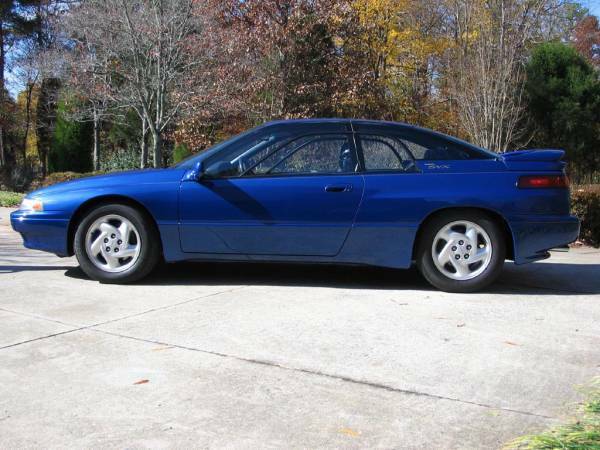 I have owned my SVX since 1997, when it had only 26,000 miles. Mine is a 1994; she came from Virginia, and has never seen the winter. I have every record of every repair, improvement, services, parts, etc. since I bought her. She now has 156,000 miles and is still going strong. I am moving and am considering selling my beautiful red SVX. Can anyone give me some advice? My email is cgrana@rochester.rr.com. THANKS! Please contact me ASAP regarding Randy (Ardubjay) and his SVXes. This is Larry Singer (Larryiii). I need to ask your opinion before posting my car up for sale. 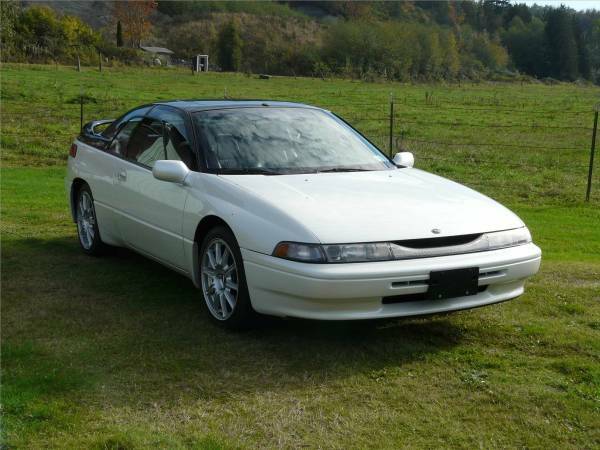 What do you think is a good price for 1997 SVX LSI is worth with 70K miles? aluminum radiator ($400), Stebro exhaust ($1800), 4 koni struts, 4 springs, 4 slotted brake disc and new line, Pioneer AVC BT110 stereo with Boston Acoustic speakers, back up camera, the wheel have been change to 18" with Mazda r9 wheel. I purchased this care in 2007 for $8100 and over $10, 000 invested....I know I would never get the money back out of it....but what is a fair price? your input? Have an svx problem, tyranny shop nor subaru can determine. Have two short videos explain all. Anyone specific I should contact to send them to?an expert svx guru? I could explain problem in text if interested. I enjoy high tech gadgets, DVD & Blueray movies, home and car audio systems and the great outdoors. I love to boat, fish, and do some gold prospecting, gold panning and metal detecting. I also enjoy Corvettes and have two of them. College Instructor - Fisheries, Fish Culture, Aquaculture, and Computer Science, and own a clam and oyster farm. Too many to mention on 18 running SVXes, except for two mini-longhair dachshunds with their heads out of the window and ears flopping in the breeze.